Our friends at GPS Training have just launched a special offer to celebrate the release of the new Monterra, Garmin's first WiFi-enabled outdoor handheld GPS. 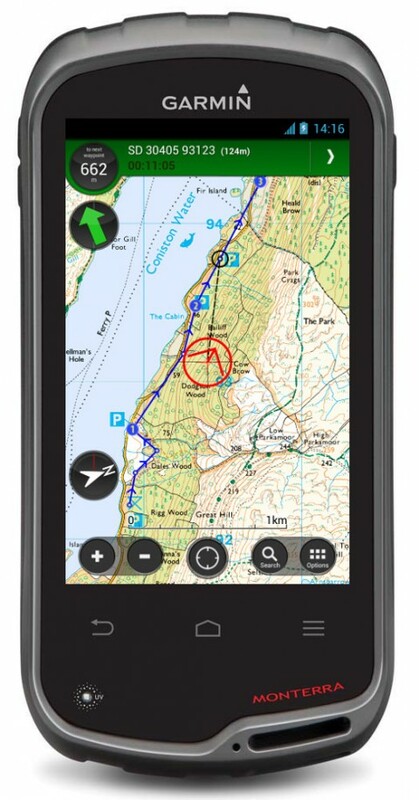 The Monterra does not come with an Ordnance Survey GB mapping bundle included, so the best and cheapest way for off-road enthusiasts to make the most of this new product is to install the ViewRanger GPS app and take advantage of an exclusive mapping bundle put together by GPS Training and ViewRanger which saves you over £100. And remember, any maps downloaded from ViewRanger can be shared with up to 4 mobile devices, one of which could be Monterra. "ViewRanger App - Named one of the best apps of 2013 by Google Play, 5G’s by The Gadget Show and a five-star must have application by the Sunday Times ViewRanger is the most popular and talked about app for almost all platforms. We have been using this app for some time on our smartphones and iPad, so it seemed like a logical extension to add it to Monterra. No worksheets required here downloading the app and maps as everything is so straightforward. "We've had a chance to get our heads around this innovative new product from Garmin; it's billed as the first rugged, waterproof outdoors GPS with WiFi. It carries a fairly hefty price tag what we wanted to know was was would it be worth the money? So we downloaded & installed a selection of outdoors apps that we thought would be of interest to our clients and had a play. Our review which runs to nine pages can be downloaded from our website in either Word (with links) or PDF (no links). "